Magnetic flux emergence from the solar convection zone into the atmosphere drives dynamic phenomena observable over a range of temperatures and spatiotemporal scales. 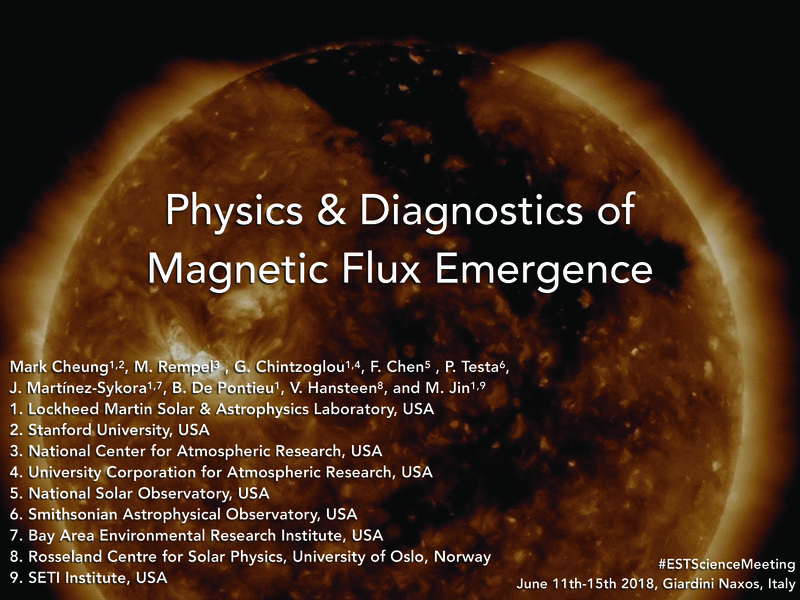 In this talk, we review the fundamental physical processes important for flux emergence and relate these processes to observables accessible to ground-based and space borne observatories. We illustrate how continuous spectropolarimetric observations enabled the recent development of data-driven simulations of emerging flux, and how such simulations will improve our understanding of the solar atmosphere. We give suggestions for coordinated studies involving observations by existing and next generation solar telescopes (European Solar Telescope, Daniel K. Inouye Solar Telescope, ALMA and future space missions) and data-driven models. We also explore how machine learning techniques can be applied to perform physical diagnostics of the solar atmosphere.